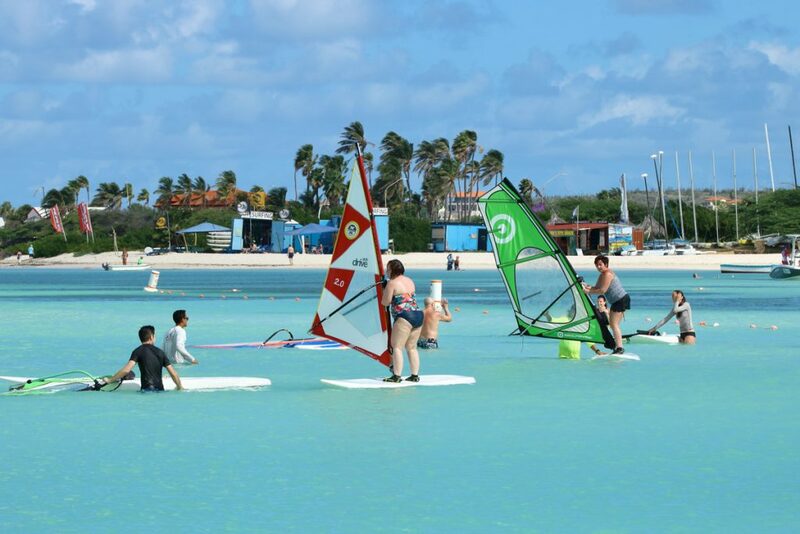 Whether you are a windsurfing addict or an enthusiastic admirer, you have probably discovered that Aruba is a windsurfers paradise. This magical spot has something to offer windsurfers of all levels; beginners, kids, and even seasoned pros. Ready to make your windsurf dreams a reality? Our passionate and highly-qualified instructors will keep you safe, informed and most importantly, having fun out on the crystal blue waters. Our team is dedicated to providing you with personalised lessons tailored for your capabilities. Each 2 hour lesson includes an hour of personalised instruction and assistance, where you will learn all about the wind principles, safety and the basics of getting started. Once you are competent in getting up on the board, it’s time for pure exhilaration and free play. After getting your grip on the sail and finding your balance on the board, you’ll find yourself skimming effortlessly over the warm Caribbean ocean, basking in the enjoyment of your new hobby! Remember to take it all in, enjoy the beautiful scenery and fun of learning something new, after all - play is the best way to learn! The beginner lesson area is like a swimming pool: nice flat and shallow water. We have the perfect conditions for learning the basics of windsurfing! We teach our intermediate and advanced students on Aruba’s famous Blue Highway. Book your class any day of the week. Lessons include all windsurf gear. Life jackets and water shoes are available for your convenience. Our instructors use the unique Vela teaching method, which has shown its results in the past 25 years. Our shallow and calm waters are excellent for teaching beginners. We have all the appropriate equipment; the teaching system has been in use for 25 years and has a 99% successful outcome. Our passionate and experienced instructors are dedicated to get you going as soon as possible! Do you only have a little bit of experience and want to, for example, improve your harness skills or learn the basics of water starting? Talk to one of our instructors so we can set up an intermediate lesson and take you out on the water. If you are an advanced sailor, we mean in the harness, doing deep water starts etc, talk to our instructors if you would like to work on skills like getting into the foot straps without losing speed, faster jibe exits or maybe basic freestyle moves. We’re up for it! 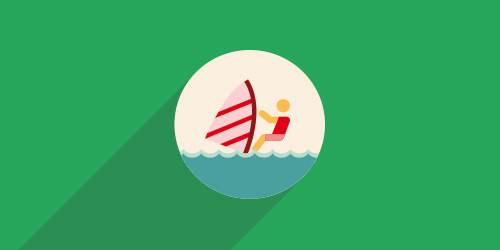 Wind, water & beach: learn to have fun!